:There is a dark presence in Phin's life. His step-father is a drunk and his malevolence poisons their home. One evening the violence gets out of control and as Phin's mother drags his broken body away, she can only think of one place to take him: to the local healer. But this healer deals in more than medicinal remedies and at her insistence he calls on the spirits to ensure Phin is never harmed again. However, his words are more than a call, they are invitation - one that the spirits welcome as a legion descend and take root within Phin. Phin awakens to discover he is no longer in control of his mind or his body, and something is certainly inhabiting his soul. He possesses super-human strength and immediately takes revenge on his step-father. This would have sated Phin, but the spirits have other ideas - they drive him into the wilderness and all who go to him quickly rue the day. As he terrorises the village, soldiers come to remove him - but how do you restrain a man who can break the strongest of manacles. And is there any hope for one who has been overcome by darkness? 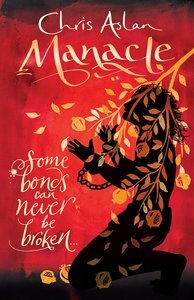 About "Manacle: Some Bonds Can't Be Broken"
Born in Turkey, Chris Aslan has spent much of his adult life living in Central Asia. He wrote a book (part memoir, part travelogue) about his time in Uzbekistan, called, A Carpet Ride to Khiva: Seven years on the Silk Road. He is currently studying in Oxford for Anglican ordination.